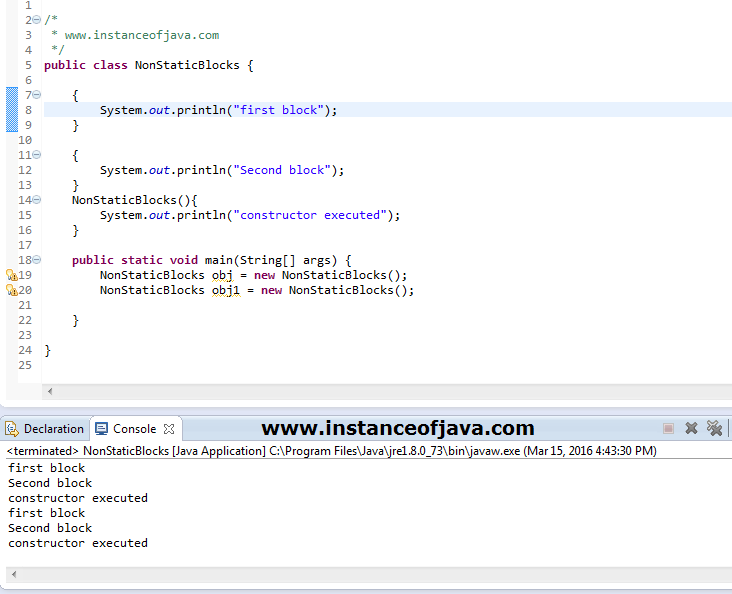 What is the need of Non static blocks in java? To execute any logic whenever object is created irrespective of constructor used in object creation. Who will execute Non static blocks? How many Non static blocks we can create? Order of execution of non static blocks will be order as they are defined. Order of execution of non static blocks with respect to constructor? nice explanation of all the topics.